Dow 20,000: What Does It Really Mean? 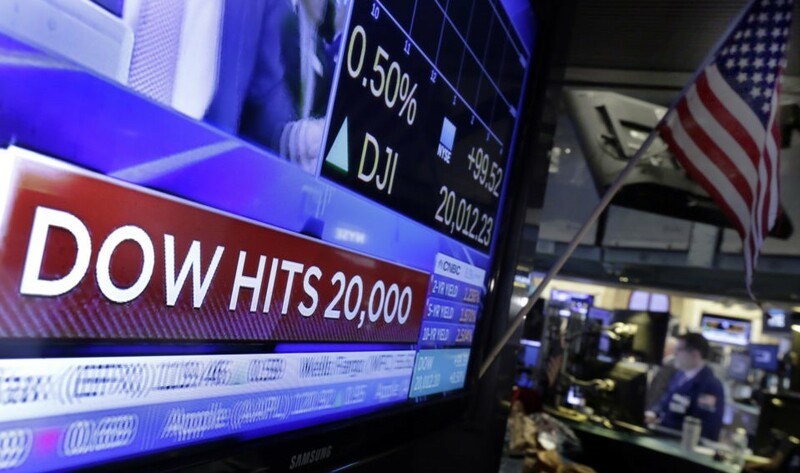 What does Dow 20,000 really mean for you? Hitting a new milestone in’t always a good thing. The fastest the DJIA blew through its 1,000 point milestone was in 1999, when it took only 24 days to climb from 10,000 to 11,000. It took only 59 days in 2007 to reach 14,000 from 13,000. Both those “achievements” were followed by horrific market declines. This time, the Dow took 42 days to vault from 19,000 to 20,000, making it the second fastest advance in history. That doesn’t mean a slump is imminent, but does mean it’s better to be cautious than euphoric and not race to buy stocks simply because the market is up. For half of all Americans, it doesn’t matter at all. Only half of all Americans have money invested in the market. For the other half, who have no savings at all, or have what they do own stashed in a bank making less than 1%, the market is irrelevant. For them to feel better off, the country needs to show advances in the “real economy” meaning jobs, wages, prices, benefits and activity. It’s proof that the best policy is always to stay on track and stay invested. Remember all those times it looked like the sky was really falling? (And sometimes it did fall!). But here we are, at Dow 20,000. Go figure. “It means that for all the worry and doubts that have sprung from the market collapses in 1987, 2000 and 2008, if investors just held to a core portfolio of large American stocks they would have done pretty well,” observed Jim Paulsen, chief market strategist at Wells Fargo Asset Management, when recently interviewed by the New York Times. The lesson: Stop trying to outguess or time the market. Be happy, but cautious. The rise from Dow 19,000 to Dow 20,000 had been based on speculation about the new Trump administration’s potential actions and accomplishments. Will they cut taxes? Accelerate growth? Build infrastructure? We just don’t know. It’s all possible, but ambitious plans have been known to fail when it comes to the execution. We’re all cautiously optimistic about economic growth, but it’s important not to let hopes get ahead of reality.